Custom cakes may be ordered for any occasion! Choose from an existing design or we can work with you to create something unique for your event. For Custom Wedding cakes Michelle can work with you via email to design your dream Wedding cake. We no longer offer face to face consults but prefer everything in writing/ pictures so we both have everything on file to refer back to. Once your cake is designed, you will be given a written quote & sketch if required. To secure your booking a 30% non refundable deposit is required. We try to accomadate last minute requests but please book as far in advance as possible to avoid disappointment. Most bookings are made 3 - 6 months in advance. Your custom cake should taste as divine as it looks! The CakeChef has an extensive, tantalizing flavours list, where you can mix & match your cake flavor & filling (ganache) flavor. Your custom cake will be 3 or 4 layers of cake & 2 or 3 layers of ganache filling....depending on the design. All cakes are baked from scratch using the finest quality ingredients. Custom fondant cakes are a standard 5/6 inch height. We offer tasting boxes, consisting of at least 6 different flavours, posted for $30. No pick up available. 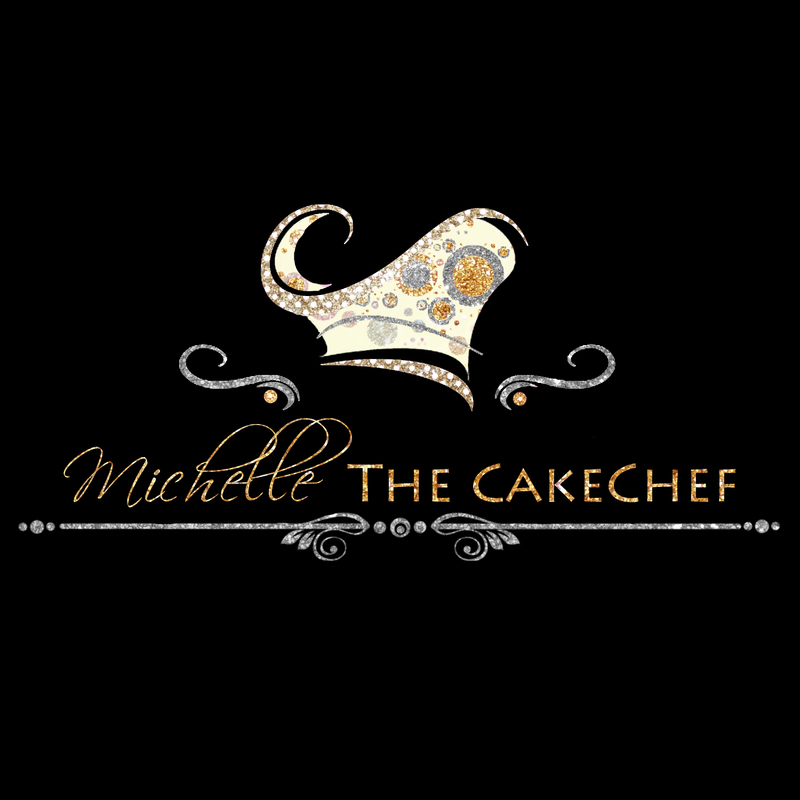 Michelle has years of experience as a qualified chef & a Masters in Cake decorating from Planet Cake, so you can be assured of a professional product & service. Michelle also teaches cake decorating & does demonstrations for cake suppliers at cake shows & expos. Custom cakes are all priced individually & final price will depend on serving sizes & complexity of design & details. If you`re on a budget consider fresh flowers from your florist, instead of hand crafted sugar flowers. Or take a look at our more affordable range of SEMI NAKED CAKES or RUSTIC ICED CAKES.